Scheduling and planning aids include telephone/address section and notepad. Inside storage pockets and business card holders. Deluxe flexible cover with magnet closure to secure contents. Inspirational photo on every spread. Mylar reinforced monthly tabs. Scheduling and planning aids include telephone/address section and notepad. Inside storage pockets and business card holders. 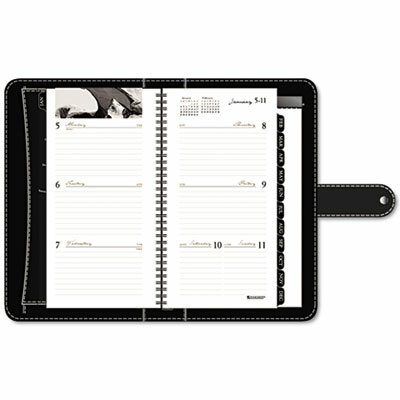 Deluxe flexible cover with magnet closure to secure contents.